To all the authors out there struggling to promote sales of their books on multiple sites, Draft2Digital just released a feature called Universal Linking that helps with this chore. The concept is simple. 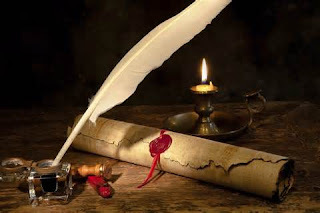 Instead of trying to advertise multiple links for all the sites that sell your books, you can use the single universal link created by Draft2Digital to direct the reader to a page on the Books2Read site that links directly to your books on all the selling sites. I suppose it's one extra click for readers, but I prefer that one extra click versus all the extra text and links that would be necessary in a snippet of ad copy to showcase all the places to purchase the book. I'm not sure about other authors' methods, but I know I usually focus on only advertising a single venue, such as Amazon, per piece of ad copy in order to keep it polished and professional. This will allow me to create ads that provide easy access to all the selling venues without a lot of convoluted wording, and I'm looking forward to trying it. I already work with Draft2Digital for some of my digital publishing, so they created my universal links automatically, and I just had to add links for the other vendors they don't handle. If you don't already work with D2D, I think you can still create universal links for your books, or at least that's my understanding from reading the email they sent out. My interpretation is you just have to set it up yourself on Books2Read.com. I hope this info helps some other authors out there. Pass it on! 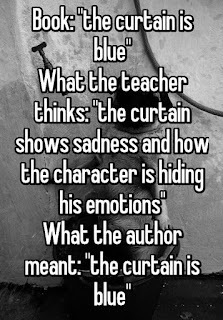 As much as I love a great story, I was actually never much of a fan of literature classes or the literature segments in English classes. Or maybe I should clarify and say I wasn't much of a fan of the common teaching approach, which usually focused on a "right" way to interpret the material in a story instead of letting readers make sense of the details in whatever way felt right to them. 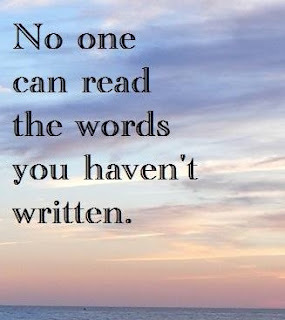 I agree that reading is important to critical thinking, but I don't think that means every reader has to walk away with the exact same feeling and message after reading a book. We could have had far better classroom discussions over the years if we had talked about the varying interpretations of different readers instead of focusing on teaching every student the "correct" interpretation. 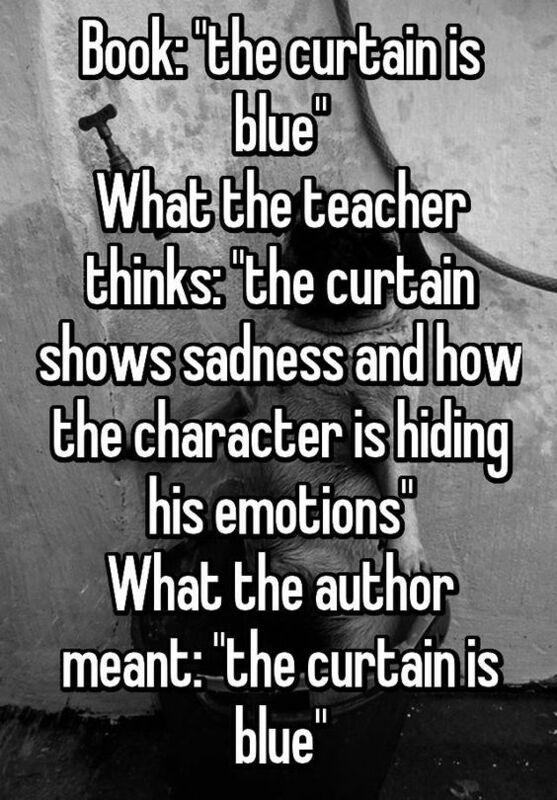 After all, sometimes a blue curtain is just a blue curtain. In my work as an editor, I constantly fight a battle against writers who produce content with excessive amounts of passive voice. And by excessive, I mean EXCESSIVE. 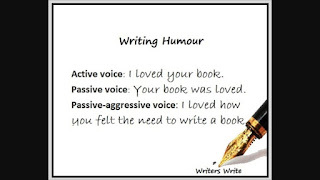 I understand that using only active voice is sometimes difficult, especially when writing fiction, but good writing should blend both active and passive voice, with an emphasis on the active. 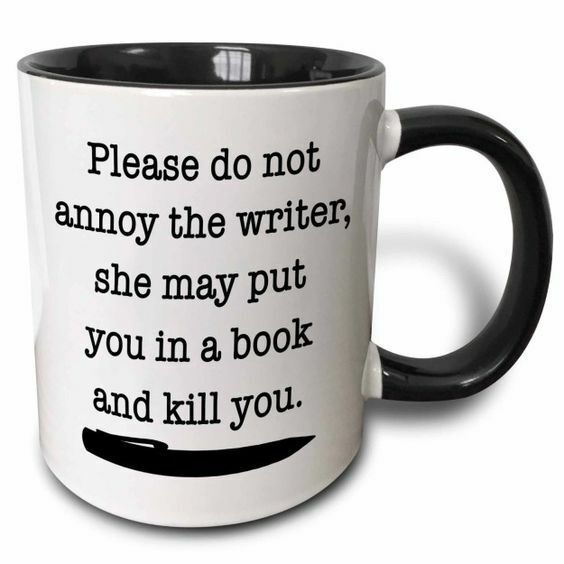 You could certainly argue that writers are entitled to develop their own writing styles, and it's up to readers to decide whether they love them or hate them. That would be true for writers who write for themselves and their fans, but that doesn't get the writers off the hook who write commercially for clients who pay them for the content. When a client gives you guidelines that include writing in active voice, it's your job to follow them. When you don't, someone picks up the slack and makes the corrections. You guessed it. That would be the editor. 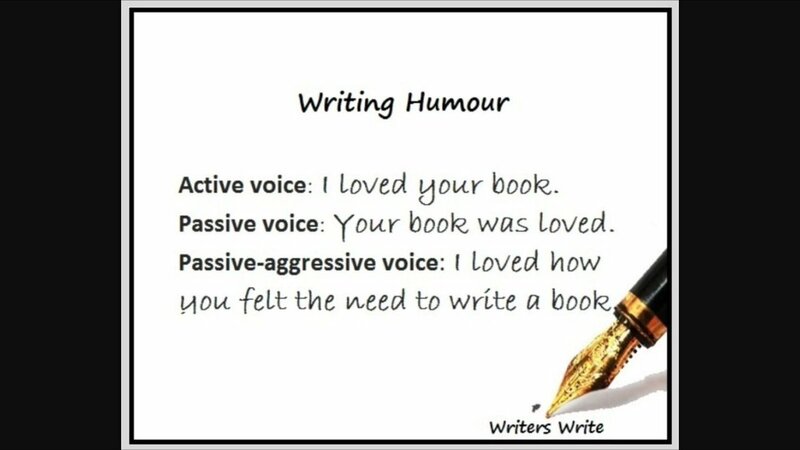 So that explains my mini rant on the excessive use of passive voice in the writing world these days. 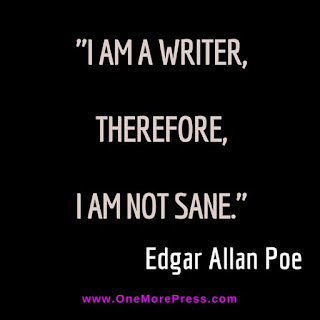 It's really all about saving my own sanity. LOL. 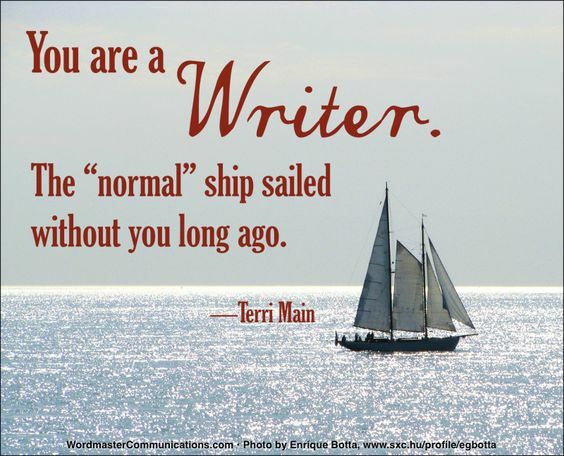 That's why I can't resist sharing hilarious writing memes like the one attached to this post. Enjoy! For maximum impact, he really should have added, "Don't screw with me." I'm sorry. What were you saying? I don't think I quite caught that. Exactly! Oh, well. Normal is highly overrated. Who needs it? It's been a while since anyone made me read a play of any kind, but I ran across some famous quotes by Oscar Wilde that made me wonder if The Importance of Being Earnest is still mandatory high school reading. It was a play worthy of a few chuckles at least, and it looks like Oscar enjoyed showing off his wit in other ways. Readers' Favorite Book Review of Defying a Duke - 5 Stars! I'm extremely excited to announce that I also got a 5-star editorial review of my second book, Defying a Duke, from Readers' Favorite. Yes! Check it out for yourself if you like historical romance. Defying a Duke: Regency Heroes #1 by Anjannette Conner is a beautiful tale of love, duty, and honor. The story follows Jordan Montgomery, an American heiress, who was blessed with older brothers who love her and want to protect her at all costs. Although she loves them, she has bigger dreams than just being a little wife to any man. She wants to find love and adventure. That is why she leaves her family behind and travels to London, where she gets what she wants and then some. She lands right in the middle of a deadly plot that she might not survive. Caine Wakefield is the future Duke of Somerset. He saves the beautiful Jordan from danger and reluctantly takes on the job as her protector. This pretty woman is too much of a distraction. She has a fire inside her that he cannot ignore, and there is nothing he can do to fight it. As he is fighting to keep her safe, he is also fighting to keep from falling for this woman who makes his heart sing. This novel is brilliant. I finished it in one night, and I simply loved it. Caine is so amazing. He is charismatic and charming, and, boy, I just love him. Jordan is not your typical damsel in distress. She is a woman who knows her heart, and she knows her limitations. That makes her human and that much more attractive. She is not hard headed, and, together with Caine, she makes a lot of sense. This is definitely a series I would love to read. Five stars! It was great. 2016 All Rights Reserved. Travel theme. Powered by Blogger.